Thirty-three (33) years old long jumper and South Cotabato pride Henry Dagmil made a come back in the 27th Southeast Asian Games held in Myanmar. Dagmil, once again represented the Philippines and won the Gold Medal in the Men's Long Jump Division of the 2013 SEA Games through his 7.80 meters leap last Sunday, December 15, 2013. 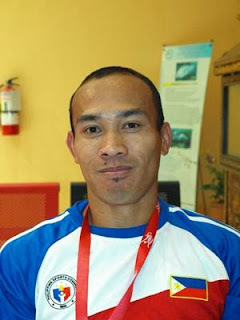 He last won the gold medal in the Southeast Asian Games in 2007. The defending titlist from Thailand settled at second with a jump of 7.71 meters, while long jumper from Vietnam placed third with 7.53 meters jump. Dagmil, who hails from the town of Tampakan was also the Philippine National Athletic Team's representative to the 2008 Beijing Olympics and the 2010 Asian Games held in Guangzhou, China.